It’s that time of year. Cold and flu season is here. Luckily, there are many tricks you can add to your health toolbox in order to strengthen your immune system and fight off the sniffles. 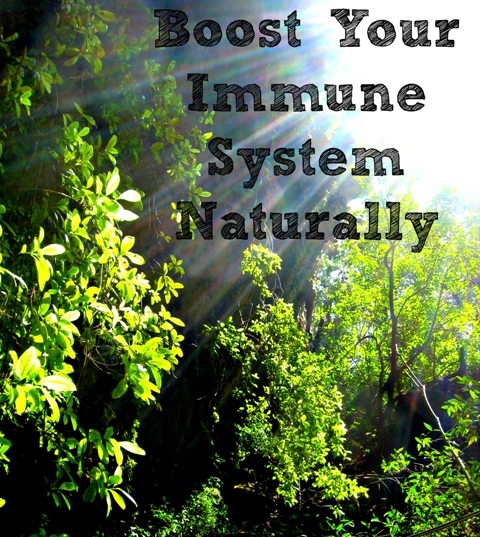 Daily immune support is the key! Try one or two of these easy immune-boosting tips while winter is still looming! 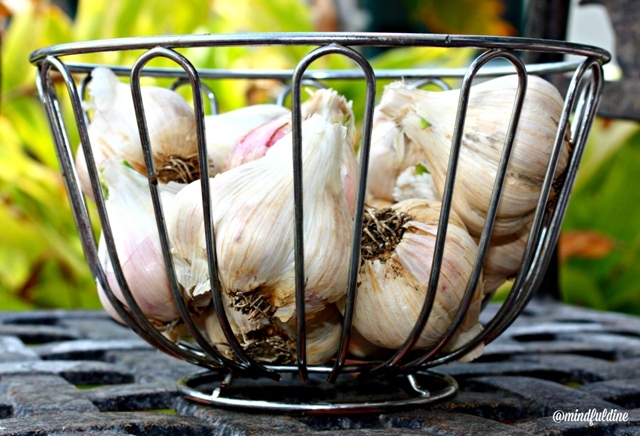 • GARLIC contains allicin and other sulfur-based compounds that act as anti-bacterial, anti-viral, and anti-fungal agents. This herb is teeming with medicinal properties that support the immune system, prevent cancer, fight allergies, and more. For optimal health benefits, eat garlic in its raw form, as heat weakens some of its healing components. When using garlic to cook, let it sit for a few minutes after crushing and mincing (this activates its potent enzymes) and add toward the end of cooking. • GINGER is a very effective anti-inflammatory that stimulates circulation and balances the immune system, restoring it to proper function. In addition, ginger warms the body and can promote healthy sweating, which is helpful at fighting cold and flu infection. • TURMERIC is the wonder plant. The active compound in turmeric, curcumin, has strong antioxidant abilities (protecting your cells) and helps to maintain your body’s inflammation response. Modern science is consistently discovering new benefits of turmeric, every week it seems. Honestly, I cannot recommend it enough! Turmeric is a powerful medicinal plant that supports the immune system, protects the brain, staves off cancer, detoxes the liver, amps up fat digestion, calms arthritis, and much more! Turmeric is available in many forms: as a supplement, an extract, a powder (ground spice) used to cook, or the fresh root. • ELDERBERRY EXTRACT delivers bioavailable (easier for your body to use) anthocyanins (flavonoids with incredible antioxidant potential) and can enhance your body’s defense against viral infections, like influenza, by inhibiting its growth and shortening the duration of sickness. Check your local health food store for an assortment of elderberry products, including tinctures, syrups, lozenges, etc. Red, purple, black, or blue foods typically contain high levels of anthocyanins, so enjoy plenty of berries, eggplant, purple cabbage, black currants, grapes, beets, cherries, and black rice. • FRESH FRUITS AND VEGETABLES flood your body with antioxidants, vitamins, minerals, enzymes, and immune-boosting nutrients, which help to protect and fight off disease. Here are some fantastic options: bell peppers, berries, camu berries, citrus (oranges, lemons, limes, and grapefruit), cruciferous veggies (arugula, bok choy, broccoli, Brussels sprouts, cabbage, cauliflower, collards, kale, turnips, and watercress), dark leafy greens, mushrooms, and papaya. • MOVING YOUR BODY mobilizes T-cells, a type of white blood cell that protects you against infection. People who exercise regularly have fewer and milder colds and sickness, and according to Dr. Brian Clement, you can heal up to eight times faster with regular exercise. Not only does body movement help your immune system fight off bacteria and viral infections, but it fills your body with life-giving oxygen and stimulates the removal of acidic waste and toxins. And, you will SWEAT, which is very important for overall health and wellness. • HYDRATE. Your immune system is greatly taxed when you are dehydrated, and some experts estimate that 70 percent of Americans do not drink enough water. Make the effort to consume more fluids, and don’t underestimate the healing potential of hot teas (try pau d’arco, nettle leaf, astragulus or green tea). Try this simple tea recipe! A perfect elixir for healing, decreasing inflammation, and flushing those pesky toxins! 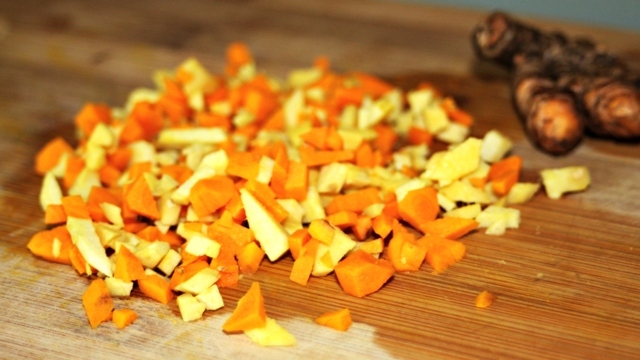 Wash, peel and mince the turmeric and ginger root. Keeping the skin on is perfectly okay, too. In a medium pot, bring water to a boil, cool for 2-3 minutes, and then stir in turmeric and ginger. Steep, covered, for at least 20 minutes, and then pour through a fine-mesh strainer to remove root pieces. Add honey, lemon, taste, tweak, and then soak up the goodness! Store in the refrigerator and reheat as desired, or add to water consumed during the day. * If using ground spices, try 1-2 teaspoons of each with 4 cups of water (depending on desired strength). Fuhrman, J. Super Immunity: The Essential Nutrition Guide for Boosting Your Body’s Defenses to Live Longer, Stronger, and Disease Free. Harper Collins Publishers, 2011. Leslie is the creator of Mindful Dine, a community dedicated to inspiring nutritious eating and healthy living. She is a self-taught cook, writer, marine scientist, ocean lover and wellness advocate. Leslie is passionate about wholesome, healing food and enjoys inspiring others to be active participants in their health. A native Texan, she now lives in Puerto Rico with her husband.